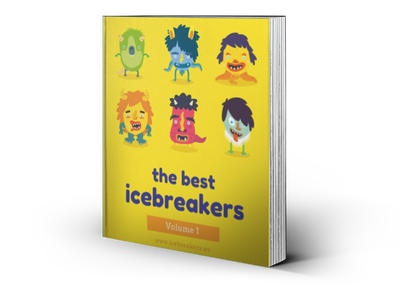 Fake Artist - Icebreakers, Icebreaker Ideas, Games, Activities! Can you work out what is going on in another person’s mind just from a single line they have drawn? All players in this game are handed the same piece of secret information on slips of paper: a codeword. All players… except one. One player is given a blank slip of paper, and they are the spy. Everyone trying to work out who the spy is, while the spy tries to stay hidden. One problem: everyone can only communicate by drawing a single line on a shared sheet of paper. An organizer, who is not playing, takes a number of slips of paper equal to the number of players. On all but one of these slips, they write the same word. This word is the codeword. The codeword could be an activity, a place, a person, or any noun. They leave one slip blank. One slip is dealt to each player. The player with the blank slip is the spy. The organizer gives the group a clue to the word, usually a category that relates to the word. For example, if the word was “dog", the clue might be “pets." Each player is given a pen or pencil. A piece of paper is placed in the centre of the table. for everyone to identify the spy at the end of the round. However, they don’t want to give away too much information with their drawing, because the spy will have a chance to guess what the word is at the end of the round, and if they do, the spy will win. Play continues clockwise, each player drawing one line on the paper. When all players have had two turns, the drawing phase of this round is over. Everyone votes on who they think is the spy. Everyone raises their fingers and, on the count of three, points at who they think is the spy. When the votes are counted, the spy can reveal themselves. If more fingers are pointing to a player who is not a spy, the spy has won. If more fingers are pointing to the spy, the spy has one last chance to save themselves. They must guess the codeword. If they guess correctly, or close enough to satisfy the other players, the spy wins. Imagine that you have just been given that blank slip of paper. You hope your face gives nothing away as you nonchalantly place the slip of paper facedown again on the table. Behind everyone else’s eyes there are cogs turning as they think about what to draw based on the word they have just seen. You, too, furrow your brow, to look as if you have something to ponder, though you have nothing yet to work from. The first player takes their turn. It’s… a triangle? It means nothing to you. Some players aren’t sure either, but others nod, knowingly. You say nothing. The next player draws a circle a little way out from the triangle. A few players laugh: “What is that?" they ask. You take a chance. “I think I get it." you say, though you still have no idea. “What is it, then? ", somebody says. “Well, I can’t give it away to the spy. Just look at it again." They find this answer acceptable, and look again at the picture. The next player draws a line from the triangle. Again, the other players aren’t convinced. Feeling confident, you try to pin down a scapegoat: “Yeah, that could be anything. That’s pretty suspicious." The line-drawer groans. “No, it makes sense. You just don’t get it yet…"
There is one more player before you have to take your turn. What is this picture supposed to be? A boat? A landmark? A logo? You need to work out what that codeword is — and quickly!